End effector (ceramic robot hand) constitute the end of the robot arm which handles and moves the semiconductor wafer between positions. It’s basically the robot’s hand so it is important that it be thermally and dimensionally stable and not contaminate the chamber with particles or chemical contaminants. 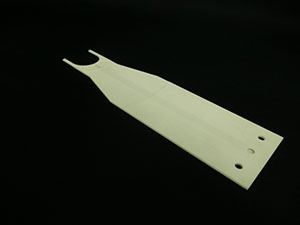 Ceramice Arm are used to manipulate and carry silicon wafers through the whole production in the semiconductor process. 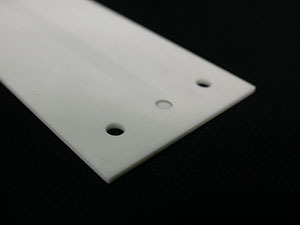 It enables the handling of large-size wafers and can be designed with vacuum channels in order to hold the part. In robotics, an end effector is a device or tool that's connected to the end of a robot arm where the hand would be. The end effector is the part of the robot that interacts with the environment. The structure of an end effector and the nature of the programming and hardware that drives it depend on the task the robot will be performing. If a robot needs to pick something up, a type of robot hand called a gripper is the most functional end effector.